This granola is literally the granola of my dreams, my new go to recipe that you can adapt so many ways, just substitute any spice, add dried fruit, swap nuts or seeds. I literally had to hide it to stop eating it! I am really enjoying baking and cooking with Maskal teff and I wanted to highlight all it’s amazing properties in a simple easy recipe you can use in many ways. So after baking with teff flour, I challenged myself to bake with teff grains! Teff grains are ivory and brown. In this case I wanted a milder taste, so I used the ivory grain. Teff adds a very interesting nuttyness to your recipes and it really is versatile, once you start using it you will start opening your creative mind and discovering inventive ways to incorporate it into your life. When I have breakfast I look for great sources of fiber, protein, manganese, iron and calcium and teff is a nutritious power horse. 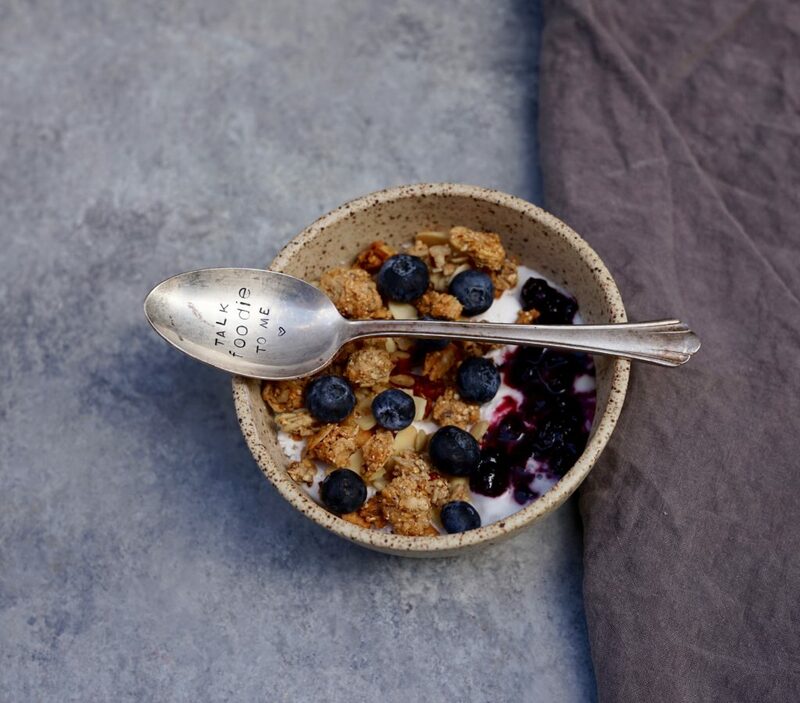 I am sure you’ll love this granola as much as I do and you may want to add it to your smoothie bowls, acai bowls, tarts or fruit platters, I even believe it can be the new trail mix! Thanks to The Teff Company for sponsoring this post! Preheat oven to 325F. Mix all ingredients together in a medium size mixing bowl. Variations: once it has baked and it’s still hot: add ⅓ cup chopped dates, for the fig and pumpkin version I added ⅓ cup oats + pumpkin pie spice when baking (then after baking add black mission figs). For a chocolate chip version: add ½ cup 71 - 85 % chocolate chunks. Substitute cinnamon for pumpkin spice for a pumpkin fig granola. Serve with coconut yogurt, date syrup or molasses syrup for vegan options or honey for a non vegan option. Or serve on a smoothie bowl (I served mine on top of a sweet potato smoothie, garnished with coconut yogurt, frozen cherry and oh my! Truly memorable. Hey Buddy!, I found this information for you: "THE BEST GLUTEN FREE GRANOLA". 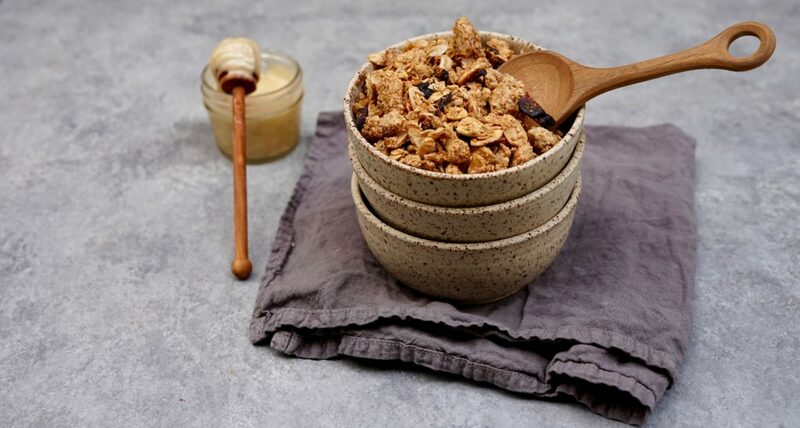 Here is the website link: https://www.vanessamusi.com/best-gluten-free-granola/. Thank you.